Pediatric residents have ample opportunities to get involved in research during their training at UVA. Under the guidance of faculty mentors, residents are required to complete a Quality Improvement Project before completing the program. A majority of our residents pursue additional clinical and basic research projects in a variety of areas, and many residents publish or present their research on a national level each year. Each year many of our residents choose to do a global health elective during their second or third year of residency. Residents who have a long-standing interest in global health may elect to be part of the Pediatric Global Health Leadership Track during their residency. See Global Health Opportunities for more information. While we have a solid core curriculum in place to ensure a strong and consistent training experience, we recognize the need for programmatic flexibility to accommodate our residents’ unique interests. During the PL-2 and PL-3 years, residents can take up to 5 months of electives both within and outside of the Department of Pediatrics. 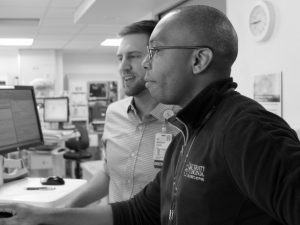 In addition, faculty members and program leadership collaborate with each resident to build an educational pathway that helps them meet personal and professional goals. 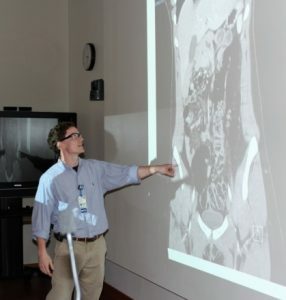 Our Wednesday School program is a resident-initiated curriculum that gives trainees dedicated monthly time to convene with faculty for four hours of interactive educational exercises. Residents learn procedural skills such as suturing and airway management as well as simulated exercises like caring for a critically ill child. Led by UVA’s outstanding faculty educators, Wednesday Schools are working lunch sessions with dedicated time for board review and unique hands-on learning opportunities. Wednesday School blocks are universally accepted as protected educational time, and faculty and fellows cover services to allow all residents to maximize this uninterrupted monthly educational opportunity. During the middle of their second year of residency, two individuals are chosen to stay on for an additional (fourth) year as Chief Residents. In this role, they have the opportunity to help supervise first-year residents while gaining invaluable leadership experience in a clinical setting. This five-year combined program merges the strengths of our pediatric department with our highly respected neurology staff. After your first two years of pediatric residency, you will spend one year learning about adult neurology. Your last two years in the program will focus on the specialized discipline of child neurology. For more information on this program, see the Child Neurology Residency Training program overview. See our Pediatrics Fellowships site for more information.